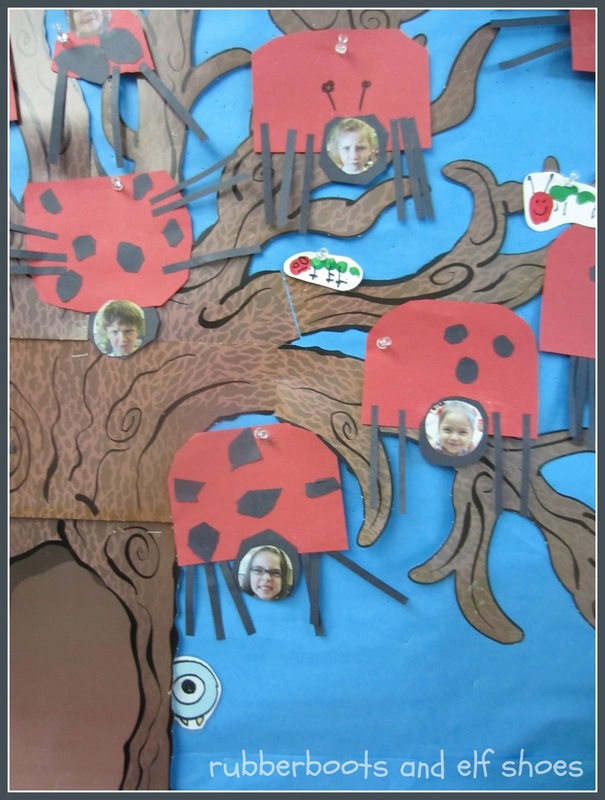 We have been devouring the Elephant and Piggie books. We had a few of them in the classroom, but all of a sudden, something clicked, and the kids can't get enough of them. I found a Piggie and Elephant display at Target, and now we have the complete set. One of the many things that the kids love about Elephant and Piggie books is Pigeon hiding on the inside of the front and back covers. He's a pretty sneaky bird. I printed a copy of Pigeon, and hid him somewhere in the classroom every day. The kids loved it. Every day they would come in and hunt for Pigeon. Until the day that I forgot to find him a new hiding spot. They came to tell me the error of my ways. But when I went to find him a new hiding spot, Pigeon was gone. One of the kids had decided that if I did not hid Pigeon, he would. Time to shake my head. I always say - don't do for children what they can do for themselves. Children are very good at hiding a Pigeon. Now, the Helper has an additional responsibility. Hiding Pigeon. And they are doing an awesome job. Check out Pigeon's hiding space for tomorrow. 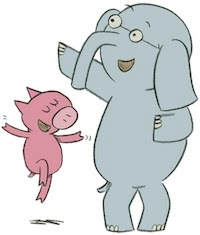 Check out Elephant and Piggie Dance Game. It's brilliant and guaranteed to make you laugh out loud. For realz. Click the graphic. Mo Willems is brilliant. Love the Pigeon and Elephant & Piggie books. I will have to remember the hide the pigeon game next year. Thanks for sharing! Love love love Mo Willems. My kids do too. One of their favorite things was to find the pigeon in the Elephant and Piggie books. I will definitely be hiding the pigeon next year. 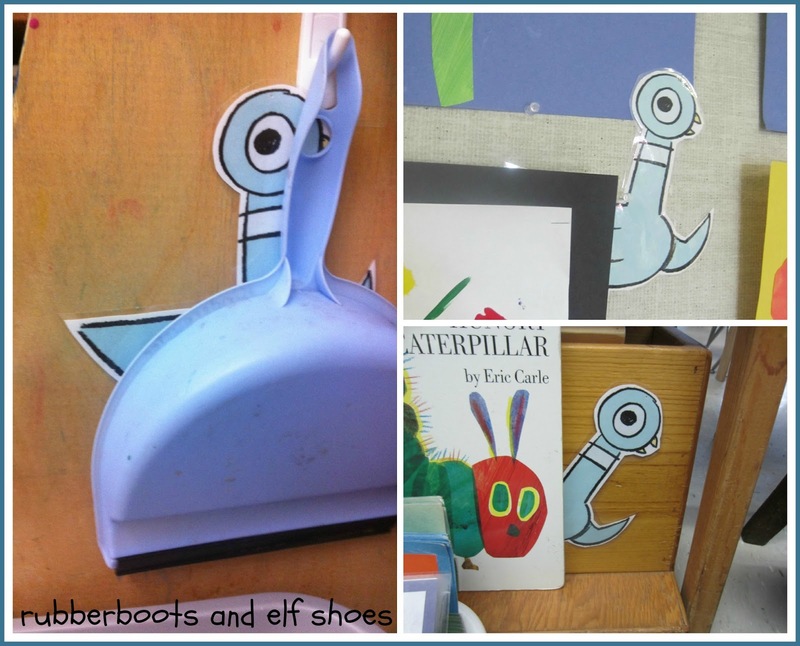 I've been thinking about doing Mo willems theme in my room next year. They just released some fabric that is so cute. Thanks for sharing. 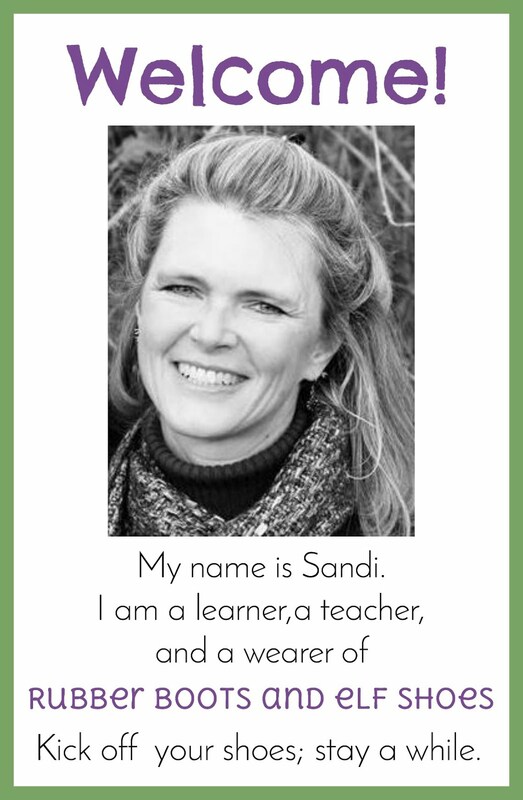 Awesome post, Sandi! I don't have the complete set yet so might head over to our new Target and see what I can find. Down in the basement, right at the back. 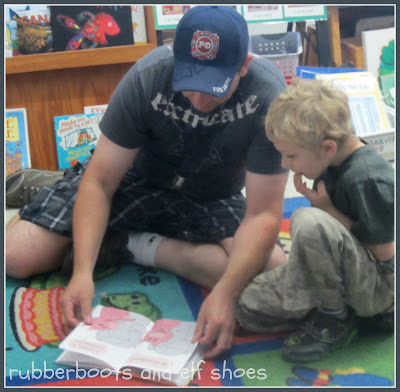 what a great idea....wow...at our local library they read one of the pigeon books at story time. I need to getback there and borrow some pigeon books, I know my son enjoyed them...and I was unaware of the piggie and elephant. This is too cute. I have not met a child who has not loved the Pigeon and Elephant and Piggie books. There is a new Elephant and Piggie book being released in the fall. This year's kindergarten kids made me promise to "borrow them" from grade one so that we can read it together! 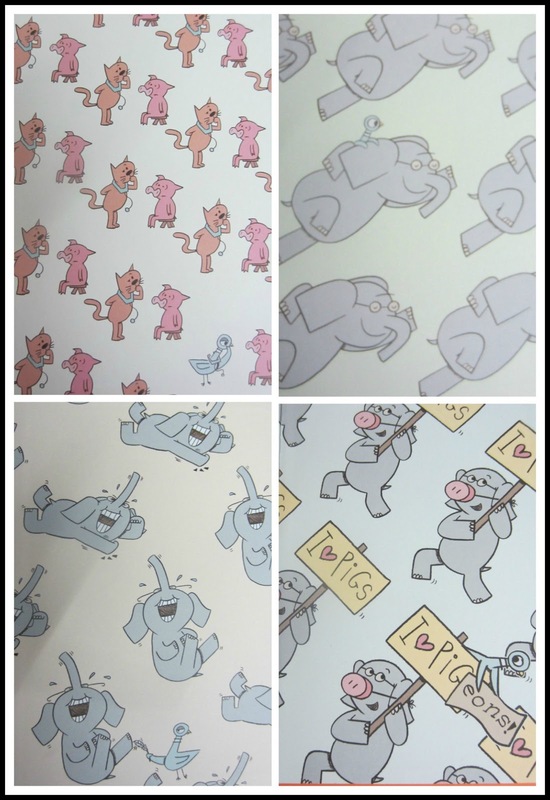 Pigeon, Elephant and Piggie are awesome. Happy reading. We absolutely LOVE elephant and piggie series (we wrote a review here too: http://www.stackingbooks.com/?p=2051) But I so agree about the finding the Pigeon in the books. DD always looked for it and made sure I saw them there. These are the small things that give such great pleasure to kids ! I am super thrilled with this series. 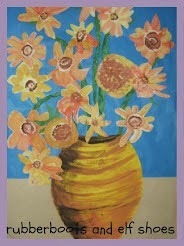 Thanks for sharing on Kid Lit Blog Hop! Mo Willems knows how to tickle a child's funny bone. I just dropped by from the Kid's Lit Blog Hop. 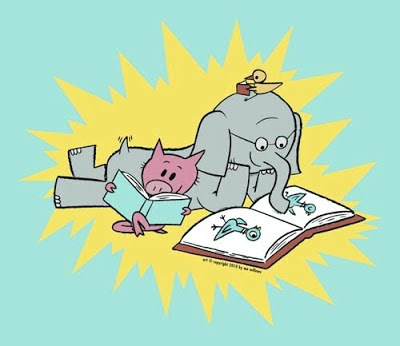 Piggie and Elephant were one of the first books my now eight year old son could read confidently on his own, a few years back, and I think both of my children would like playing hide and seek with a paper pigeon. Thanks for the idea. Hide the Pigeon is a pretty popular game in my class. What a fabulous idea! We adore the elephant and piggie series and I know my kids would love trying to find pigeon. I adored the dance game too. Elephant, Piggie and Pigeon are fabulous. Mo Willems knows how to captivate kids (and their grown ups) with a few simple lines. We are big Mo Willems fans at our house, too! 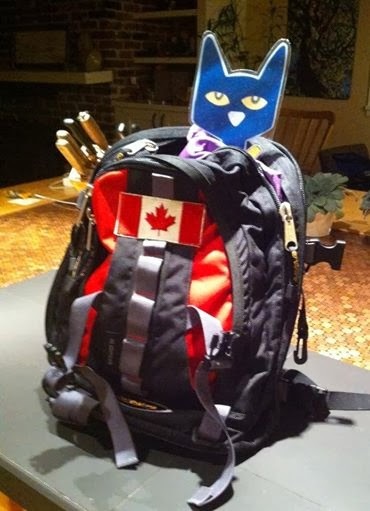 I love the hiding Pigeon idea - I should share with our teachers.